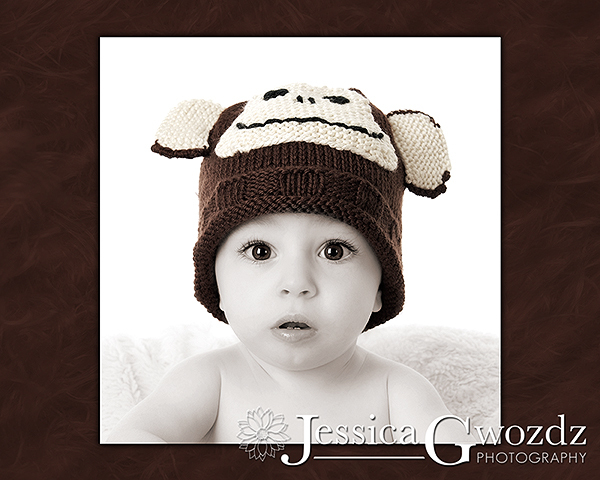 I photographed this little guy’s 1-year-session back in 2008, and got one of my favorite images of all time. 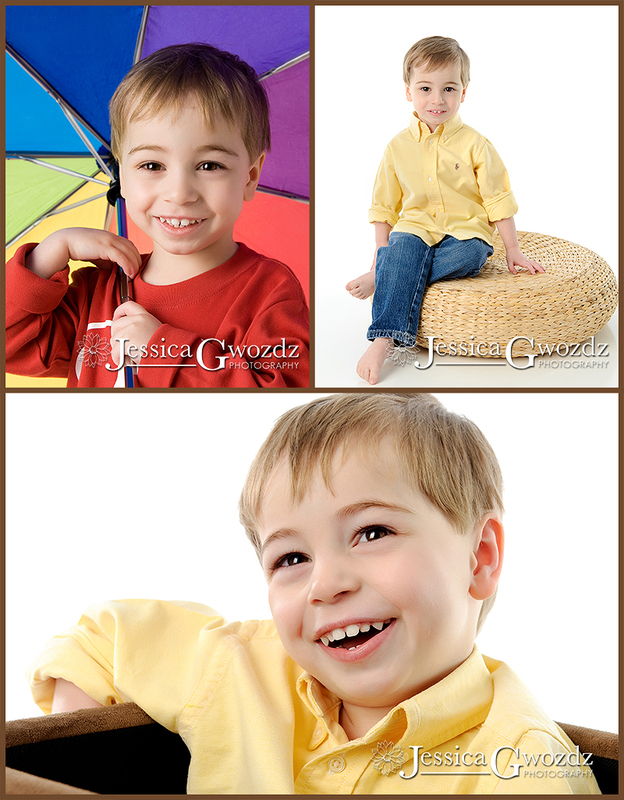 I was so happy to see him again for his 3-year portraits. He’s grown so much and is smart as a whip. He loved my big rainbow umbrella. Not so much the umbrella itself, but the button that opens the umbrella. LOL! Here’s a little sneak peek from his session. I have to preface these next two by saying that his dad had no intention of getting in any photos that day but he was such a great sport to play along with my “tough guys” idea. This was the first time I had a chance to use my size 4T black leather biker jacket prop, and here are some tough guy faces to go along with it. Tree - What a cutie! Love the shots with Dad. Bonnie Creevy - Wow these are great. That umbrella shot is to die for! LOL I like the ones with daddy too. Julia - These are great! Love it when dads are such good sports…kudos to him!! Kelly - He is a cutie! Love the ones with Dad! Melissa - What a great smile!